Samantha grew up in the community of Shiloh, MS and she graduated high school from East Rankin Academy in Pelahatchie, MS. Upon graduation, Samantha worked at the Rankin County Co-Op in Brandon. She currently works with residential buyers and sellers in Hinds, Madison, Rankin, Scott and Smith counties. 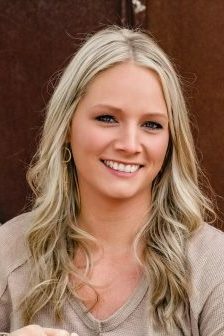 As a lifelong resident of Rankin County, Samantha is knowledgeable of the various communities and subdivisions in the Jackson metro area and she knows what they have to offer home buyers. Samantha enjoys meeting new people and helping them with their next home purchase. If you’re a Seller who wants to put your current home up for sale, Samantha would love to help you! Samantha will be glad to help you stage your home and improve your home’s curb appeal to get your home sold fast and for top dollar. Samantha is married to Justin Roper, and her favorite hobby is being outdoors and hunting with her husband. Samantha also enjoys spending time with her pets, making crafts, and home décor. One of Samantha’s favorite things about real estate is having the opportunity to assist her clients and provide them with the best service possible. Contact Samantha Roper now at 601-906-8527 or email her at Samantha@HopperMS.com and get started on your real estate transaction now!